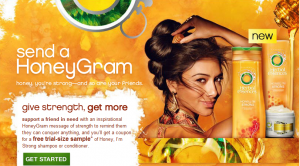 Hurry and request your coupon for a FREE trial size bottle of Herbal Essence Honey Shampoo. You will need to send a Honey Gram to one of your Facebook friends in order to request this FREEbie! I’m sure nobody will mind receiving a Honey Gram! Head over an nab yours before they are gone!